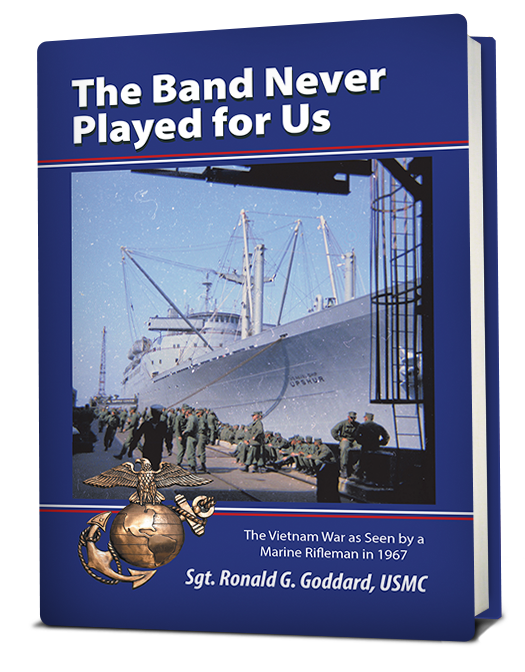 Ronald G. Goddard grew up seeing Hollywood movies that showed American troops boarding ships and going off to World War II with bands playing and well-wishers swarming docks to give soldiers rousing sendoffs. But when his troop transport ship left San Diego Harbor for Vietnam in March 1967, there were no patriotic farewells. It would be a chilling wake-up call for Goddard and the fellow marines of Golf Company, 2nd Platoon, 2nd Battalion, 4th Marines. He shares an accurate account of their experiences in this autobiography.